Already listed with our Phuket pizzeria directory? The freshest ingredients create hot pizza everyday. Walk in to the pizzeria and select on your favorite crusts with topping as you want. Time to enjoy a great meal! 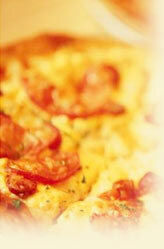 Don't miss a real taste of pizza in any cuisines. Deliciousness at the best restaurant is the thing which you are looking for on Phuket Island. Visit us and see our listed below for your guide decision making. With more than 32 years in restaurant business that we offer mouth-watering Italian foods to people in Phuket. We specialize in our delicious dishes made with the freshest ingredients available.